Click those three buttons at the bottom left side on the screen to fire your weapons and shield. Every weapon and shield needs to cooldown after using it. Shield is limited, use it wisely. Some high level warships have warplane. Warplanes could only be killed by missiles. Upgrading your warships are always cheaper than buy a new warships. Fortunately you can do it manually! To do it manually, just use search function in your hex editor app, enter your current Coins value in Ultimate Sea Battle 3D and search for it (choose DWORD) . If you see a large list of results, you need to change the value of current Coins value in Ultimate Sea Battle 3D by either consuming them or adding them. 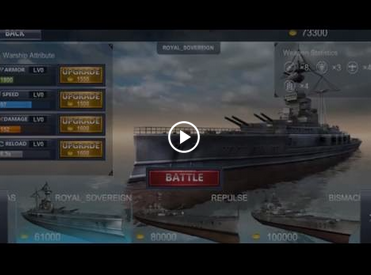 Go back to the list and find your new current Coins value in Ultimate Sea Battle 3D to the large list and finally you can edit the value.